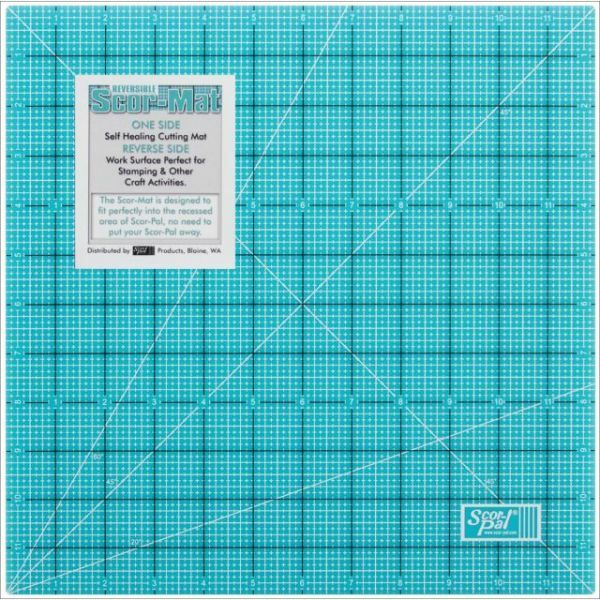 Reversible Scor-Mat 12"X12" - SCOR-PAL-Reversible Scor-Mat. 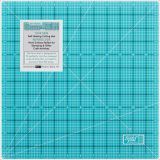 One side is a self-healing cutting mat complete with measuring grid with 1/8in, 20 degree, 45 degree and 60 degree markings. The other side is perfect for stamping, brayering, and much more. This Scor-Mat is designed to fit perfectly into the recessed area of Scor-Pal (not included). Color: teal, black, white. Measurements: 12x12x1/8in. Imported.